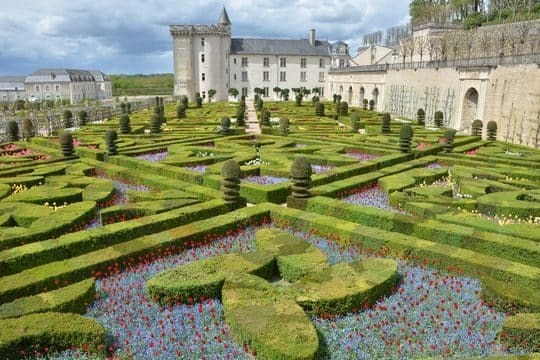 An ideal route for discovering the cities of Blois, Amboise, Tours and Saumur as well as a selection of Loire châteaux and their gardens. 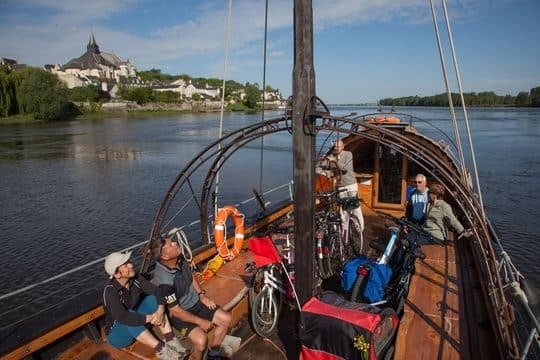 As a group, family or couple, enjoy Loire Valley scenery and its incredible wildlife in the heart of the Loire-Anjou-Touraine Regional Nature Park. 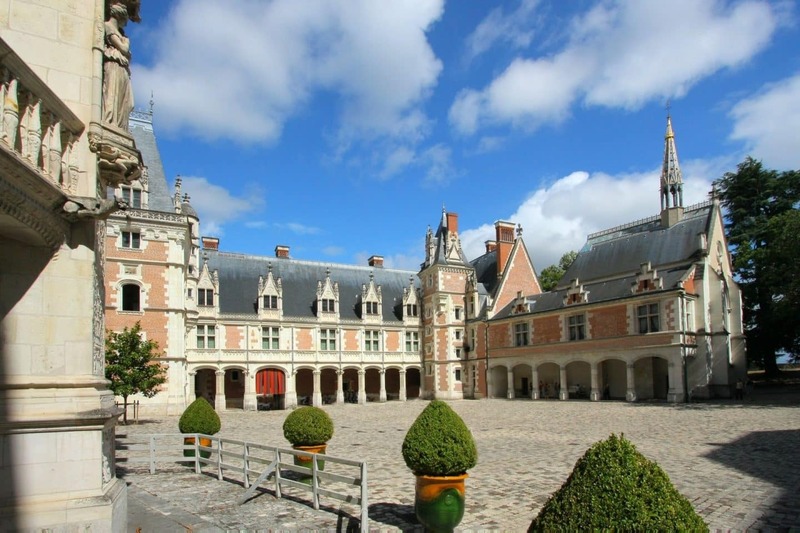 Explore Blois and its royal château, the former residence of the kings of France. Visit the city’s old district with its charming little streets and let yourself be tempted by a break on a terrace in one of the cafes. Take the kids to discover a few tricks in the Maison de la Magie and then wonder in turn at the quotes and works, sometimes absurd, in the Fondation du Doute. End the day with a magical moment by reliving the history of France at the château’s sound and light show. Explore Blois, if you didn’t have time to do so the day before. Leave the city via the south bank of the Loire to arrive in Chaumont-sur-Loire. Besides being a Renaissance château and an Arts and Nature Centre, this Regional Domain boasts magical views of the Loire Valley. 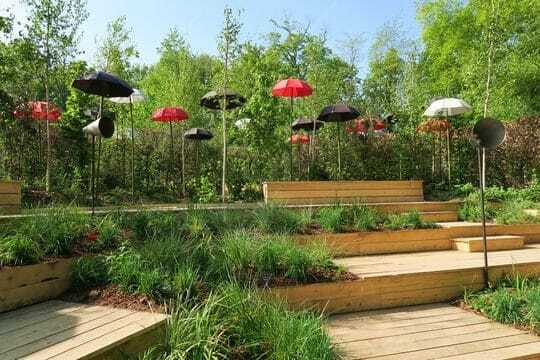 Every year, its International Garden Festival assembles works based on a given theme by artists and landscape designers. Awe and amazement guaranteed! 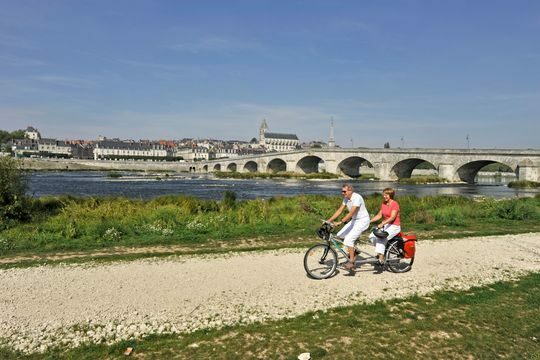 Continue your journey in the direction of Amboise, where you will cycle in the footsteps of Leonardo da Vinci! The artist’s presence can be felt everywhere… In the royal château overlooking the city, in Le Clos-Lucé, his final home, and even in the city streets. The Domain of Chaumont-sur-Loire is an excellent option for lunch. One of the several restaurants with shady terraces will certainly take your fancy. In Amboise, enjoy a quick break in Pâtisserie Bigot. Then ascend the bridge over the Loire to get a better view of the city. You will climb two hills before Madon and Candé-sur-Beuvron, before returning to essentially flat ground along the banks of the Loire. Before you leave, visit the Royal Domain of Château-Gaillard. Its 15-hectare park is home to more than 160 kinds of orange trees. A few pedal strokes further on you will find yourself at the Pagode de Chanteloup, an unusual monument and the product of the “Folly of the Duke of Choiseul”. Climb to the top to enjoy a magnificent panoramic view of the Loire Valley from a height of 44m or wander through the little Chinese garden. In Montlouis-sur-Loire, a town famed for its wine, visit the tuffeau stone galleries of the Cave des Producteurs, where approximately 2 million bottles are ageing. Continue your ride towards the Château of La Bourdaisière. Its 2-hectare vegetable garden is home to more than 600 types of tomatoes. Arrive in the lively, gourmet city of Tours where you will spend the night. Discover the illuminated cathedral and old half-timber houses of this City of Art and History. 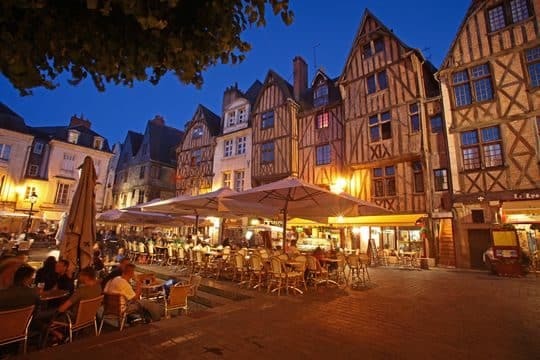 Pass the time on the terrace of one of the bars and cafes on Place Plumereau before tasting the local Touraine gastronomy in one of the city’s excellent restaurants. 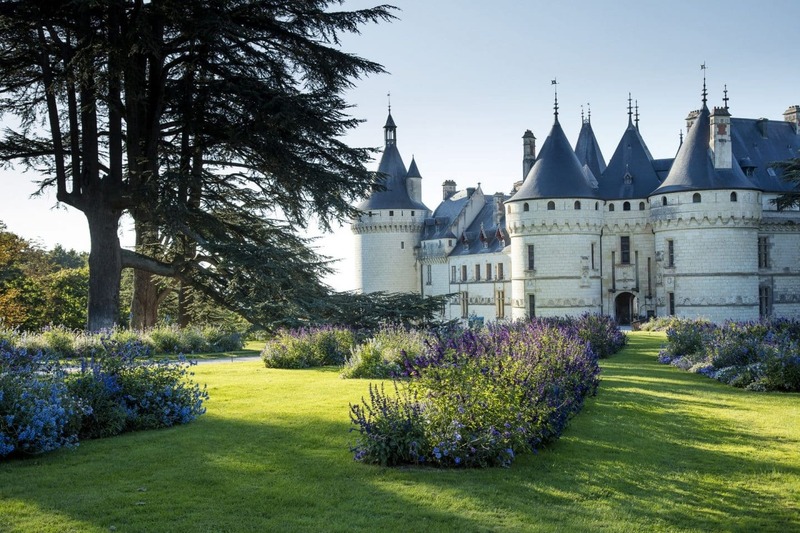 To do as a family: In Amboise, discover miniature versions of the 45 Loire châteaux in the Mini-Châteaux Park. Stock up in the covered market in Tours. With rillettes, rillons, cooked meats and goat’s cheese, there’s no shortage of local specialities for preparing a picnic! 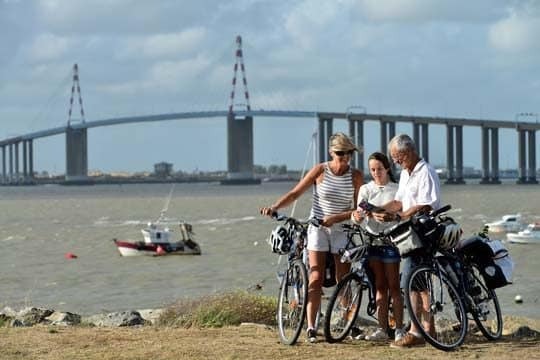 Leave Tours and follow the south bank of the Cher towards Savonnières. Its petrifying caves will take you on an amazing journey to the heart of the Earth. This fun, educational visit will be enjoyed by both young and old. Follow the Cher and you will arrive at the Château of Villandry, one of the last great châteaux built in the Loire Valley. 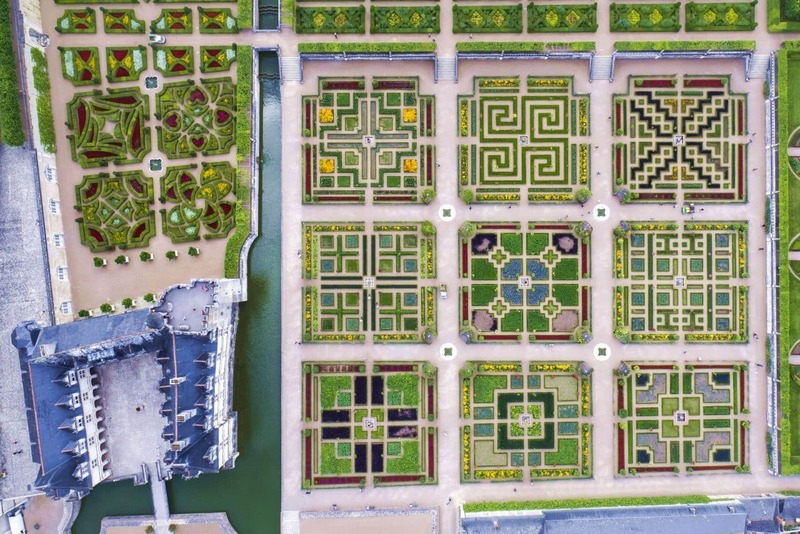 Take time to explore its magnificent French formal gardens. The decorative vegetable garden is a real highlight! End the day by admiring the magnificent panoramic view from the Bec du Cher before heading to your accommodation for the night. Not far from the train station in Tours, discover the “Accueil Vélo et Rando – Maison du Vélo” multi-service cycling centre for cycle tourists. Leave Tours by the side lane of Avenue de Grammont. Please remain vigilant due to the multiple junctions on this stretch of the route. Idea for a break: In Savonnières, make the most of the convivial atmosphere and “simple but generous” dishes made with local produce in the open-air cafe called “A la Soupette de Memère”. Idea for an outing: In July, enjoy a fairy-tale experience at the Nuits aux Mille Feux at the Château of Villandry, when the gardens are lit up with 2000 candles. Moments of magic guaranteed! Departure from Villandry. You will enter the Loire-Anjou-Touraine Regional Nature Park, where you will discover its Loire scenery, forests, vineyards, typical villages and troglodyte sites. 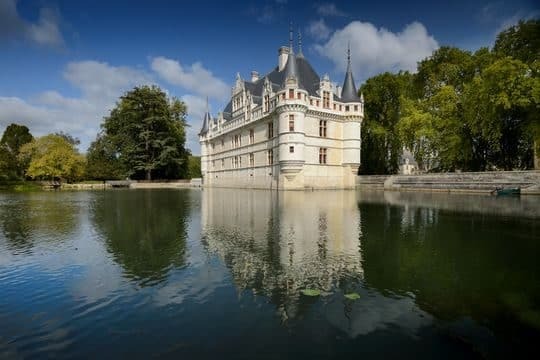 Cycle to the Château of Azay-le-Rideau, described by Balzac as “a facet cut diamond set in the Indre” and which epitomises all the elegance of the French Renaissance. As you continue your ride you will also be able to visit the Château of L’Islette, which was once the scene of the love affairs of Camille Claudel and Rodin. Its park is surrounded by water and is an ideal spot for a picnic. Get back in the saddle and cycle to Bréhémont. Take a small detour through Rivarennes to discover the museum of the Poire Tapée. Tasting is a must! In terms of vineyards, you will find the appellations of Chinon, Touraine and Azay-le-Rideau at Domaine Nicolas Paget, a passionate producer of organic wine. Continue to Bréhémont to spend the night there. To do as a family: Discover the life of the peasant farmers who lived in the Les Goupillières troglodyte valley (lien), just before Azay-le-Rideau, from the Middle Ages onwards. Just a few kilometres into your ride, stop at the Château of Rigny-Ussé. Don’t be surprised if you find it looks like the palace in Sleeping Beauty, because it was a source of inspiration for Charles Perrault. Continue your route in the direction of Chinon, whose royal fortress and ramparts overlook the city and the Vienne running at its feet. The first meeting between Joan of Arc and Charles VII took place within its walls. Before or after your visit, stop off at Caves Plouzeau. Discover its 200m of galleries where material was quarried for the construction of monuments. A tasting of the famous AOC wine is a must! In the evening, take time to appreciate the charming pedestrian streets and unique atmosphere in this City of Art and History before turning in for the night. Leave Chinon along the Vienne. At Candes-Saint-Martin, listed as one of the Most Beautiful Villages in France, you will arrive at the confluence of the Loire and the Vienne. Take a guided boat trip aboard La Belle Adèle or the Amarante. 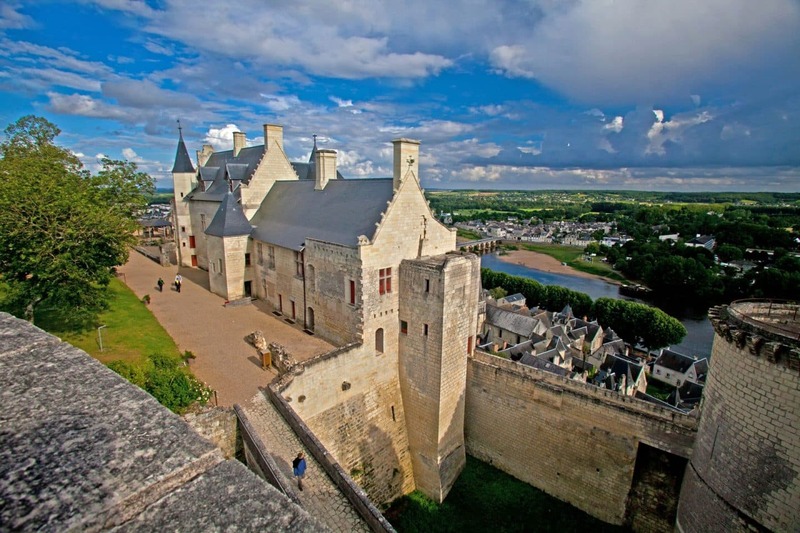 Admire the Loire from the panoramic terrace of the castle of Montsoreau and stroll through the little streets of this village classified Plus Beaux Villages de France. Then get back in the saddle to discover the Royal Abbey of Fontevraud. The largest monastic site in Europe, the abbey welcomes visitors for a cultural and gastronomic experience. 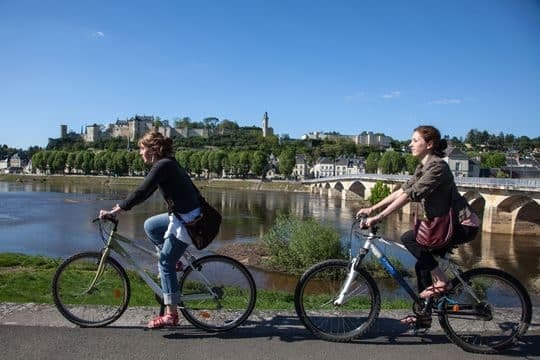 End the ride in Saumur and wander through the streets in the old district of this City of Art and History, known for its wine, gastronomy and lifestyle. Round off day by admiring the magnificent view of the Loire from the château. If you want, you can extend your trip by 7 days to continue to the Atlantic Ocean.